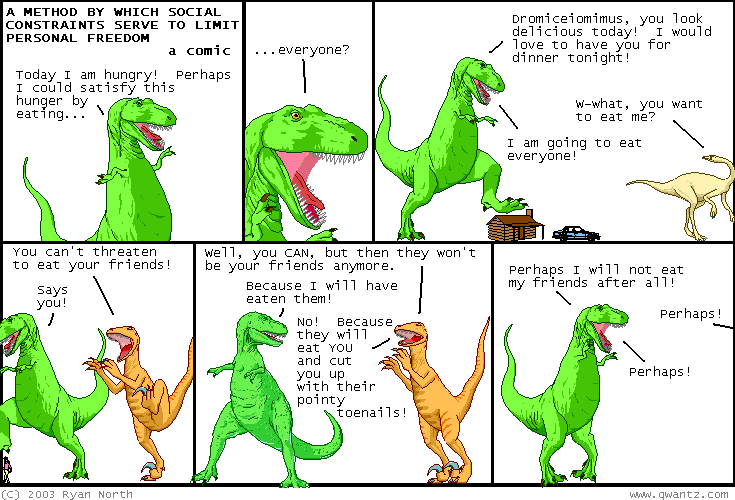 Dinosaur Comics - October 15th, 2003 - awesome fun times! –Two dinosaurs of any gender enter the ring - one dinosaur of any gender leaves! This comic is from October 15th, 2003! I didn't write things down here back then. Or maybe I did, and they are now LOST FOREVER. But here is a random merchandise image; perhaps you are... tantalized?